There are multiple benefits of having a CRM Development Company in Dubai at your service, most of the advantages circle client retention. Customer Relationship Management has been a central concept that proceeds in harmony with product development strategies because a firm single-handedly cannot predict the buying nature of clients. Having a CRM customized to their business needs not only helps them in meeting their customer requirements quickly but also boosts productivity within limited production time. 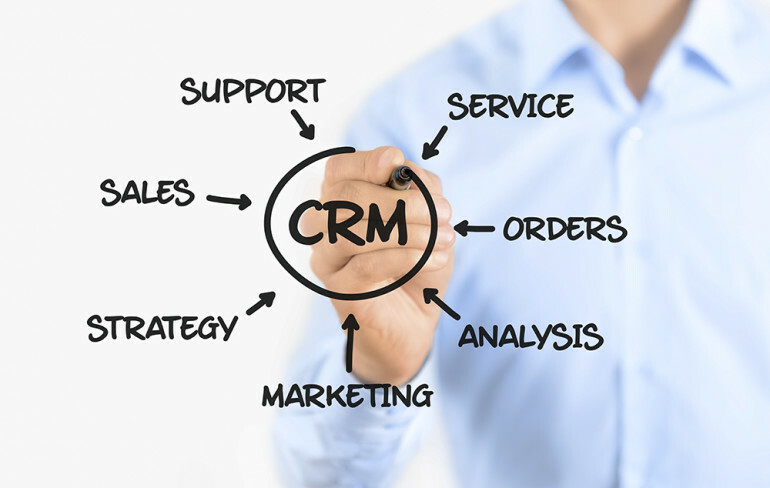 What is CRM all about? Are they all excited? What do they have? Commonly a Customer relationship management consists of lead tracking, contacts management, dashboard& charts, email marketing management and much more depending on the requirement of the firm. Professionals who develop CRM software for companies are expert in technologies like ASP.Net, ASP, Java, PHP, etc. Using their expertise and experience with the technology, you can automate your business to manage clients efficiently and save ample time, while offering your customers with a better service experience. The developers either create a CRM from scratch for you or they customize an existing software based on your business model. Nowadays, not many people believe in having an in-house developer because outsourcing the work seems to be a much cost-effective affair. Since most of the website designing companies in Dubai consider Customer relationship management development as a one-time cost, India and China have become a recognizable name when it comes to offshore software development within a budget. Software developers from India and China are not only talented but also adept and cost effective compared to their western counterparts. Today the level of competition in the market is stiff, which is why finding the best service provider for your requirements is not easy anymore. Companies are offering deals in CRM software development, while come even offers custom work for open-source software. Customer relationship management is not just software but a specifically built software! A specially constructed/ customized CRM allows firms to deploy complex databases within the organizational operation for maximum efficiency. It’s all about increasing the performance of the existing resources with a simple implementation and saving time. The database management feature of Customer relationship management makes service experience much pleasant, especially when you are dealing with a returning client. For instance, an excellent example of the real experience of a returning client is like ordering a pizza from ‘Papa Johns,.' The transaction or the phone call becomes much shorter when the staff already has all your data in their CRM software, and all you need to do is let them know what you want. Why should you go for a custom CRM Development? Will static or open source CRM work for my business? Today we have a competent business environment and a custom CRM is an edge when it comes to managing client data for the future. You can have the data in a language you want, based on standards of the industry and business model. Customer relationship management feeds different department in a firm in a different manner. Open source CRM is a static solution for all the industry needs, whereas custom CRM tool is built based on the custom requirements of a firm. Managing client data becomes easy with a CRM, but if you have a customized customer relationship management, you can use the data the way you like it and share the same with other departments to make things better. Custom CRM solutions prove to be less complicated compared to packaged customer relationship management packages because these are made strictly as per your company requirements, so the chances for errors are less. Well-implemented CRM solution in enterprises adds the feeling of accountability in all the department, which again enables them to serve the clients in a better manner. Any failed attempt towards accountability will allow staffs to analyze their work methodology and take corrective measures accordingly. Since we have talked a lot about customer relationship management and its benefit if it is designed specifically, we need to address the cost aspect as well. Businesses that look forward to custom CRM solutions for their work should have a budget pre-decided because custom solutions are costlier than standard or open source ones. However, the former has its unique benefits when it comes to long-term aspects.